occupied. But when a new client offers her the strangest commission she’s ever handled she suddenly finds herself on the cusp of an Italian adventure, with a man she thought she would never see again. Cassie knitted her fingers together and stretched her arms above her head, wriggling her neck to work out the kinks. A quick squint at the clock had her blinking. 7.30? Where had the time gone? As if on cue, her stomach rumbled. Food and sleep. You have an early start in the morning. ‘Don’t remind me!’ She looked round guiltily, when she realised she’d said it out loud. The office was empty. The whole building was probably empty. No one to hear you curse. Even if the thought of tomorrow makes you want to. Cassie wrinkled her nose. London – fine. With Jake – not so fine. She reached out to close down her computer, taking one last look at the screen. The research she’d been doing for the last hour was for herself, not for a client. An idea she’d been meaning to follow up for a while. And nothing to do with trying to prove something to Mr McQuire? She shrugged. It was nothing to do with Jake. Why should his arrival prompt her to make a serious attempt at tracing the errant Jason? And the digging she’d done had been worth it. She noted the names on her list, with satisfaction, before sending it to print and closing the files. It was a short list, but one that might pay dividends – the names of private gardens on the Riviera that sometimes opened their gates to the public. Jason had once mentioned that his aunt was a keen gardener, very proud of her large garden and collections of rare plants. If she was proud of it, there seemed a good chance she might want to show it off. None of the owners’ names meant anything to Cassie, but a few quick calls in the morning might yield some information she could follow up. If not, you’ll just have to take a trip to the Riviera yourself. Damn, she was talking to thin air again! Anyway, in the morning … Cassie groaned, in the act of reaching for her ‘To do’ list. In the morning she’d be miles away from the office. With Jake. Jake and Jason. Two bad apples in a pod. Or did she mean barrel? Her stomach gave a flutter that had nothing to do with hunger. She flipped the printout from the machine and switched it off. The trip to London tomorrow would take up most of her day. Just to deliver a package. Tell me again – why are you doing this? Cassie leaned back in her chair, muscles suddenly tense. The job was distinctly iffy, whichever way you looked at it. She knew that – had from the beginning. She chewed her lower lip. Even if the job was genuine, and she was saving Benson’s childhood home from the bulldozers, she was skating on thin ice. If Benson hadn’t made it clear that the collection of the package tomorrow was only a very small part of the conditions he and his wife had to meet, to protect their inheritance, she wouldn’t have considered it. Even for that astonishing amount of money? That you now have to share with Jake? Cassie chewed her lip harder at the memory of Jake, sprawled so confidently in her visitor’s chair. That chair. She glared at it. Promising him half the money rather messed up the idea that she would try not to touch Benson’s fee. Hmm. The money was a matter for another day, and negotiation with McQuire. Now she had to concentrate on getting through tomorrow. She’d committed to the client and the job, and she would carry it through. But what exactly is the job? Do you really believe Benson’s story? Cassie smoothed her finger along the arm of her chair. That was actually the point – in her heart of hearts, despite Benson’s tears, she didn’t. And if something else was going on, she and Jake were right in the middle of it. Which meant she had to do everything she could to find out what it was. Self-preservation, gathering information on a possible crime – and, she had to admit – rampant curiosity. Three good motives for keeping her wits about her and her eyes open tomorrow. Cassie sighed. She’d been way too impulsive when she agreed to this crazy assignment. She’d let excitement and the thought of the money cloud her judgement. Benson had probably counted on that. All she could do now was press on, and learn from the experience. At least tomorrow would be the end of her enforced association with Jake. That was one bright spot to look forward to. She wouldn’t need him around any more. He would be going back to the States soon. Then she could investigate Benson without any unwanted distractions. Whatever she found out, she could take it to the authorities herself. She really didn’t need any more help from Jake. Stuffing the list of Riviera gardens into a file marked ‘Fairbrook’ and dropping it into her desk drawer, she set about retrieving her possessions from around her desk – jacket, shoes – she had to feel under the pedestal to locate the left one, cramming it on as her stomach rumbled again, even louder. There was nothing in the fridge at home. She’d have to stop at the shop on her way. Get a ready meal, or something. A ready meal for one. How sad is that? ‘Oh for heaven’s sake! You’re not that needy!’ Even so, her hand hovered over the phone. It was a while since she’d called her parents. She couldn’t remember exactly when. Maybe last month? Somewhere outside a clock struck the hour. At this time of the evening her parents would be out, having drinks and tapas with friends. Or they could be entertaining golfing buddies with cocktails at home, before a late dinner. Not a good time. Making a mental note to try at the weekend, Cassie shouldered her bag. Calls to Spain were probably cheaper then, anyway. She stepped out into the corridor and secured the door behind her. Maybe she’d forget the ready meal and stop at the chippy instead. Jake stared out over the dark expanse of water. The breeze, whispering through the open windows of the car, held a tang of salt. Lights from shipping in the Channel flickered, breaking up the twilight. Ma was out there, somewhere. Crossing the Bay of Biscay? Or already anchored off some sunshine island, getting ready for a show, or dancing on deck, or whatever other entertainment the cruise ship provided? He’d have to check on the schedule she’d left. She’d be visiting lots of amazing places. Which is good. She deserves it. Jake frowned. She didn’t need to go alone though. They could have spent some quality time together, just hanging out. But she’d been adamant about it. He stirred uncomfortably in his seat, a lump gathering in his throat. He swallowed hard. When Ma first mentioned she was having medical tests, it hadn’t sunk in. She’d made it sound like routine stuff. Even when she’d phoned in the middle of the day, to tell him she was having surgery … It had taken a call from Tony, his oldest friend, to spell it out. His mother could be dying. It had hit him like a rock between the eyes. What a miserable excuse for a son he had been. The lump in his throat rose again. Once he knew how necessary it was, it had proved remarkably easy to drop everything and just walk away. On the way over, on the plane, all he’d been able to think of was the gift she’d given him – of a wonderful childhood; the Christmas treats, birthdays, holidays by the sea – all playing in his mind like a continuous film loop. And in there too, in the background, in scratchy, jerky black and white, were Benita and Tony … and Cassie. The whole thing was weird, but he had a chance now to make amends. He’d work it out. The breeze blew suddenly sharper. With a slight shiver, Jake raised the window a fraction. He wasn’t all that sure why he’d driven out here to the sea. Childhood memories of time spent on the beach below where he was parked? Sandcastles and wave jumping and picnics with Ma – those long days of childhood that always seemed to be full of sunshine? Hmm. Getting maudlin here. He looked at his watch. It would be after midnight when he got back and then he and Cassie would be off to London. Benita hadn’t said much, but he’d gotten the story out of a still indignant Tony – and found out everything he needed to know about the firm, over a few beers. Well, more than a few. And a couple of whisky chasers. He and Tone had been in complete agreement – those women needed someone looking out for them. And Jake was stepping up to the plate. He wasn’t too sure about how much Tony would remember about all that. He wasn’t entirely sure how much he remembered, but Tone was still speaking to him, so he’d not crossed any lines. It hadn’t been too much of a stretch to plant the idea in Benita’s mind that she was always welcome to call on Kings for help, now that he was back. Should the need arise. And with all Cassie’s usual male helpers out of action … And a job that needed a man to complete …Well, stepping up to the plate. Almost a public duty. Spending time with a gorgeous woman and keeping the dirt-bags away. Just about perfect. The Benson thing … He grinned. Cassie needed him. Hmm. She needs the Benson money. Which you are making her split with you. Yeah – but there would still be enough left to save her business. He’d made sure of that. No woman, least of all Cassie, wanted to feel like a charity case. Their agreement had to look good. And how could he resist going head to head with Cass over the negotiations when she looked so darn cute when she was mad? She needed the money, but she needed him to get the money. An unexpected chill ran down his back. He cranked the window all the way shut. Any man would want to be needed, right? Shrugging his shoulders to shake off the chill, he reached out to start the engine. Of course, once you’ve delivered the package, Cassie will expect the job to be over. Now he’d seen Cassie again, he was planning to go right on seeing her. Which meant that whatever happened tomorrow, the Benson thing wasn’t going to come to an end. That whole inheritance story was enough to make anyone suspicious, let alone someone as curious about her fellow human beings as Cassie. She was a people person. She liked to know what made them tick, which was probably one of the reasons she was good at what she did. Jake smiled. That was the key. Cassie would be curious about what might lie behind their unusual assignment. With the right kind of encouragement, she’d be ready to investigate. And, of course, you’ll be right at her side while she does. 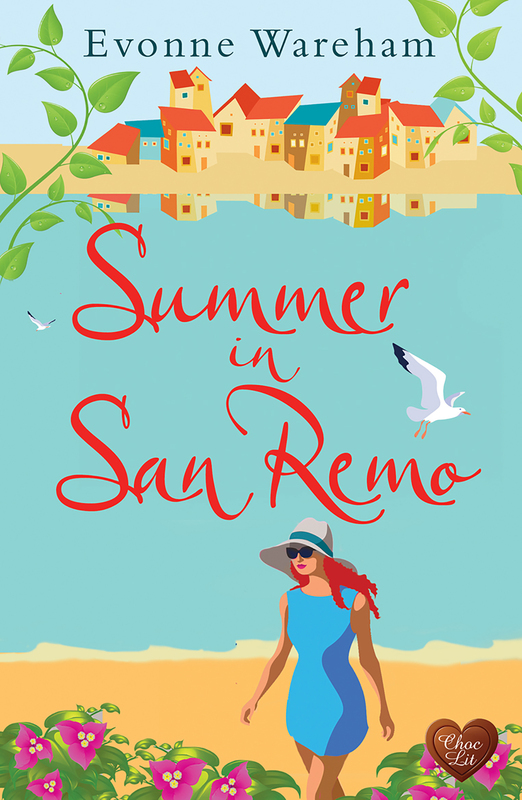 If you enjoyed this extract and can’t wait to read more, you can find Summer in San Remo available to purchase on all eBook platforms!